Introducing chore charts to little ones can sometimes be difficult. All the check marks, words, and undefined rewards can be complicated for a three- or four-year old. A much better approach involves lots of relatable visuals and clearly defined (and realistic) rewards. The Ice Cream Chart explained below is a perfect combination of these two things. 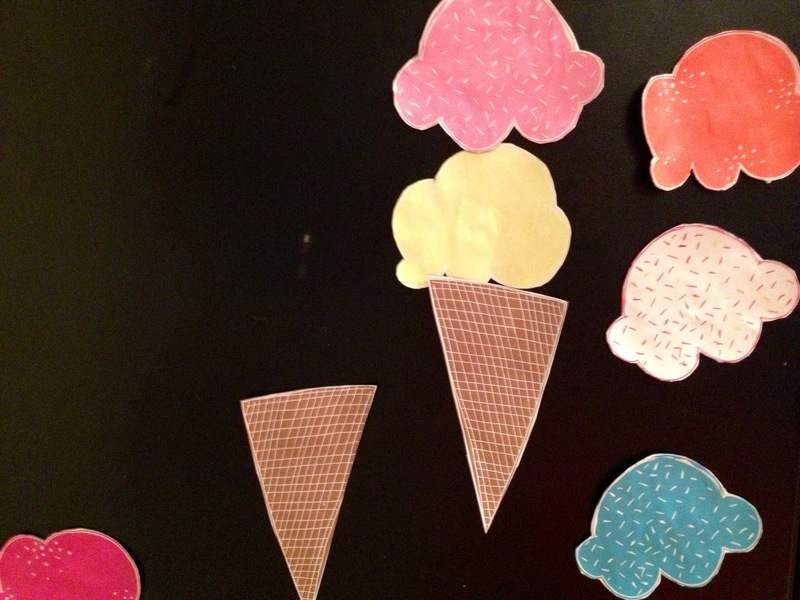 The Ice Cream printables can be found at Fifth and Hazel but the other aspects are “make your own” and my own personal spin to make it perfectly toddler/preschool appropriate. Chores – Make a list of chores you think your little one can do. Making the bed, putting laundry in the hamper, and picking up toys at the end of the day are all good ones. Find very obvious clipart for each of the chores and print them out in small squares. Glue the printed and cut out clip art onto cardstock and glue that onto a magnet. Your little ones will keep their chores on one side of the fridge until they are done, and then move them to the other side of the fridge once each one is completed. Having a “to be done” and a “completed” side to the fridge lets the kids visualize what still needs to be done. 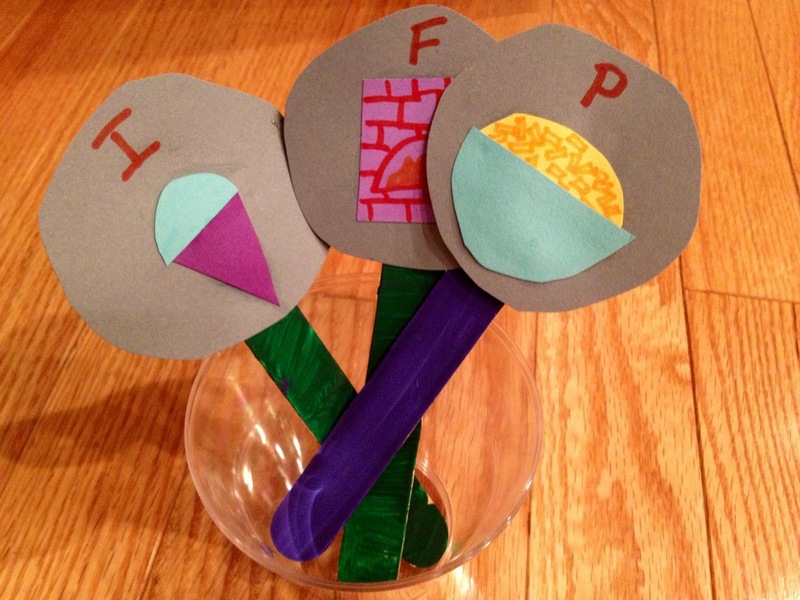 Ice Cream Scoops – To make the scoops, go to Fifth and Hazel and print out the templates. 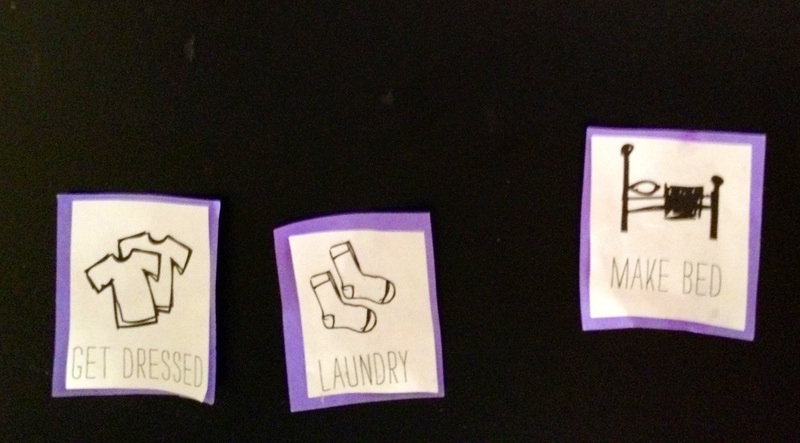 Like the chores, paste them onto cardstock and a magnet to complete the look. Then, if at the end of the day all of your little one’s chores are moved to the completed side, they can place an ice cream scoop onto their cone. They continue each day until they reach a decided upon number of scoops that allows them their reward. Six and seven are generally good numbers as they are easy for the kids to count up to. Rewards – Have the little ones come up with something they would really like once they reach the agreed upon number of ice scream scoops. And be sure to keep it within the parents’ budget. Going out for ice cream is an appropriate one considering the chart, but you can do a lunch date or a train ride as well. 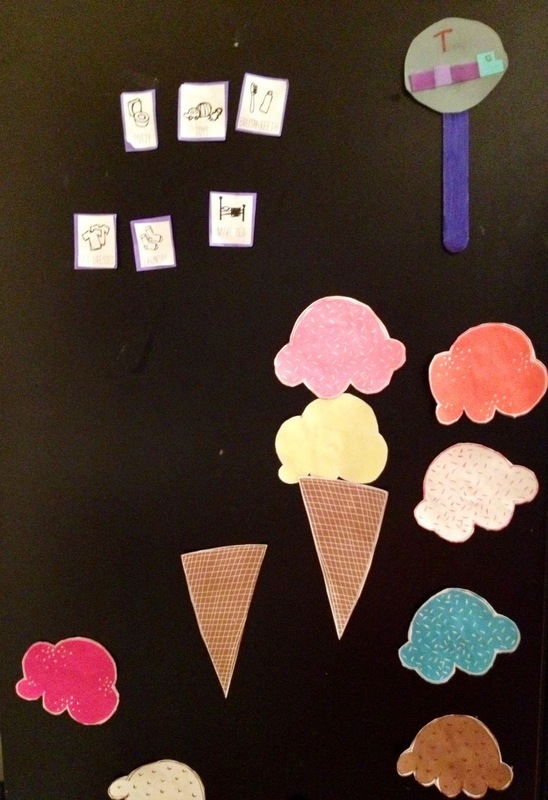 Create an appropriate visual for the desired reward and place it up on the fridge as a reminder of what the little ones are working towards. You can even make multiple rewards and keep them in a cup so that every time the little one starts over with their ice cream cone they get to pick out a new reward to work towards. The project and photos by Whitney Tang. Don’t forget to stop by next Wednesday for another fun project.